Soups, frozen dinners, and hot chocolate are some of the staples that consumers will likely stock up on as they face the cold winter months in many places in North America. In 2019, grocery retailers no longer have to make assumptions about what consumers will buy; they can leverage technologies like artificial intelligence to optimize consumer spending through compelling price and promotion coupled with effective allocation of inventory to meet the needs of customers. While A.I. in various forms has been available for many years, the next 12 months could mark a tipping point in which the most compelling use cases for the technology will emerge. 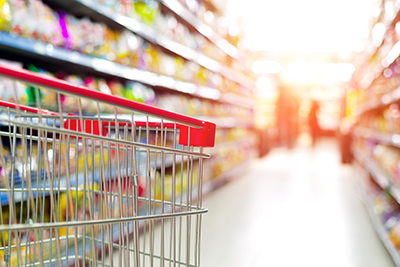 All it will take is for grocers to behave a lot like the consumers browsing through the aisles. Think about it: when shopping for food, you’re rarely selecting items randomly but gathering what you need to make specific kinds of meals — even if it’s as simple as pouring cereal into a bowl. In the same way, grocery retailers will capitalize on A.I. by starting with their business goals and then adopting the right technologies to better achieve them. Let’s start in the back and work our way to checkout to look at some of the ways that A.I. will make impact on grocery retailers in 2019. Having to throw out unused food at home is wasteful but when it happens at the warehouse level in a business, there’s a direct hit to the bottom line. This is why the use of machine learning algorithms for grocers’ inventory is so intriguing. Imagine a workflow with A.I.-powered automatic notifications about what needs to be restocked and when to do it. This can happen now as part of demand forecasting that is constantly updated with real-time information. The result is fewer stock-outs, less waste and, obviously, greater profitability for grocery retailers. Experienced category managers have good instincts about what works and what doesn’t in terms of pricing and promotions. The reality, however, is this is not enough on its own anymore, given the rise of new competitors, changes in the way people search for food information online, and macroeconomic factors over which they have little control. Even the weather can influence grocery purchases that are difficult to predict in advance. Just as many other industries talk about becoming more data-driven, the grocery sector can now aggregate and analyze vast quantities of information that would be impossible for human beings to achieve on their own. This makes it quicker and more efficient to select the right prices for the right products. Product assortment is often seen like an art in retail, but A.I. is bringing a scientific element that will make grocers far more successful. Using the right approach to data analysis ensures that you’re promoting the best mix of products every week. As important, it can also avoid overstocks on the wrong items by providing insight around revenue, profit margins, product mixes, and many other possibilities. The definition of a “smart shelf” in retail has evolved over the past few years as technology has changed but A.I. promises more than simply identifying the product on a shelf and its price. There are algorithms that will give consumers more information about nutritional ingredients, recipe ideas and more. Best of all, recommendations and other information can be customized to individual consumers based on data they’ve shared with the grocer. It goes without saying that A.I. is allowing grocery retailers to embrace innovative and compelling capabilities to optimize pricing, product selection and customer service. For grocery retailers, A.I. will deliver new ways to drive higher profits and revenue and significant operational efficiencies. In an industry that has traditionally operated with 1% profit margins, A.I. is a game-changer, enabling greater than 100% net income growth. The bottom line is that grocery retailers are scratching the surface when it comes to A.I. But 2019 is the year for the industry to aggressively explore how A.I. can improve and change how they operate.